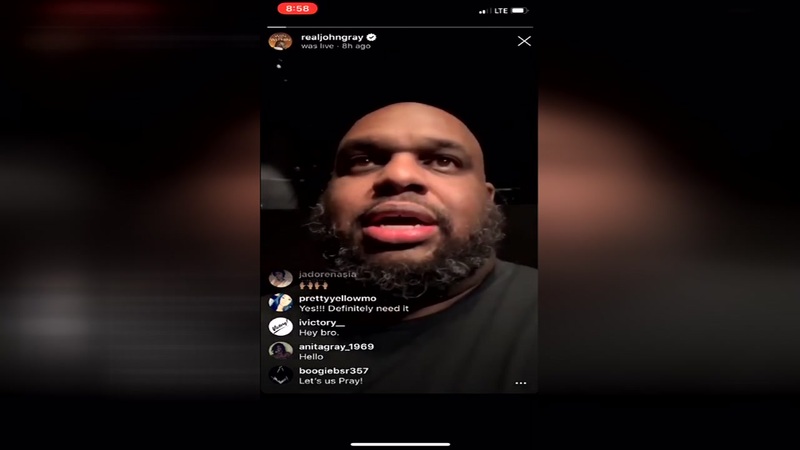 GREENVILLE, South Carolina -- Megachurch pastor John Gray responded on social media Saturday about his criticism over his wife's lavish anniversary gift -- a $200,000 Lamborghini. Gray, a pastor at Joel Osteen's Lakewood Church in Houston, surprised his wife Aventer with a Lamborghini Urus for their eighth wedding anniversary on Dec.11. After a video of the surprise surfaced on social media, Gray received backlash from people who questioned where the money came from. For the second time this week, the pastor addressed the matter. He started an hour-long Instagram live on Saturday by asking his friends and family to pray with him. "This has been a really difficult week because there's nothing worse than being misunderstood and attacked," Gray said. Gray continued by saying the worse attacks came from the Christians who "hit hard." He also said that he doesn't mind people trolling him on the Internet, but asked people to respect his wife because she didn't know about the gift. "It was a surprise. It's been in the works since February. I was able to give it to her on our eight-year wedding anniversary." On Thursday, the pastor reiterated that no money from the church was used to pay for the vehicle during a 20-minute long Facebook live. "What should concern people who are actually genuinely concerned is, 'Did this man use any money from the church to do this?' And the answer is no, absolutely not," he said. Not all of the reaction to the gift has been negative. Some people have supported the Grays, asking why it's wrong for them to have the Lamborghini when they help others. Others also mentioned that the pastor does have other forms of income, wise investments and that the public may not know the work they've done behind the scenes. Gray worships Wednesdays at 7:30 p.m. at Lakewood Church. He is also the pastor at Relentless Church in South Carolina.